We are a leading supplier and trader of Fire Sprinklers. Our offered products are Fire Extinguisher, Hydrant System and Fire Sprinklers. 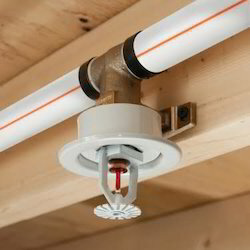 Counted in category of topmost organizations, we are offering Fire Flexible Dropper Sprinkler to our clients. It is considered to be best for protection and it is highly safe and flexible for long term application. Offered product also saves lot of time which is consumed during installation period. It is resistant to corrosion and is highly durable as well. It is considered to be excellent choice for retrofit and new construction projects. To furnish the diverse requirements of our clients in the best possible manner we are involved in offering an extensive range of Chrome Plated Rosher Plate. 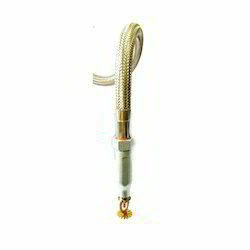 To furnish the diverse requirements of our clients in the best possible manner we are involved in offering an extensive range of Brass Type Pendent Sprinkler.